There are 532 posts in this topic. You are on page 11 of 11. I am sure this is a dumb question but where does the Lock protector go??? 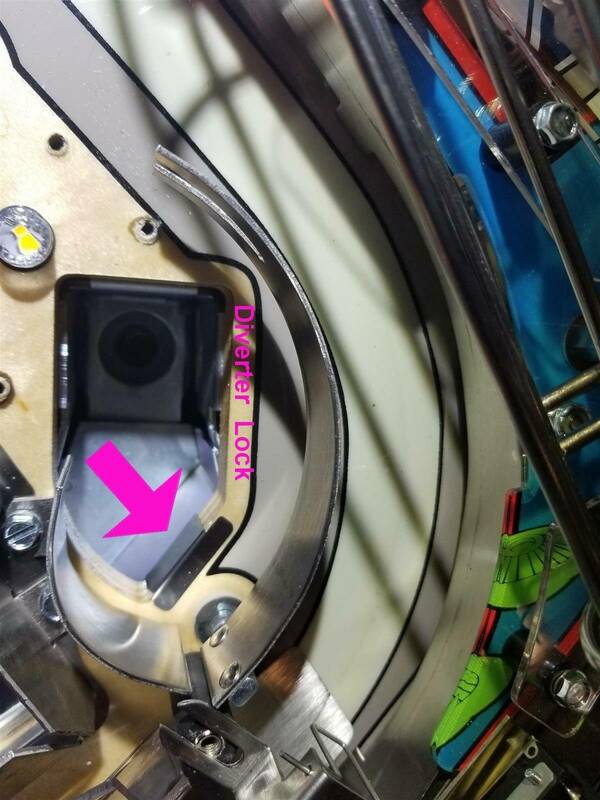 Ok so I see it the Diverter lock edge. Am I missing the picture? 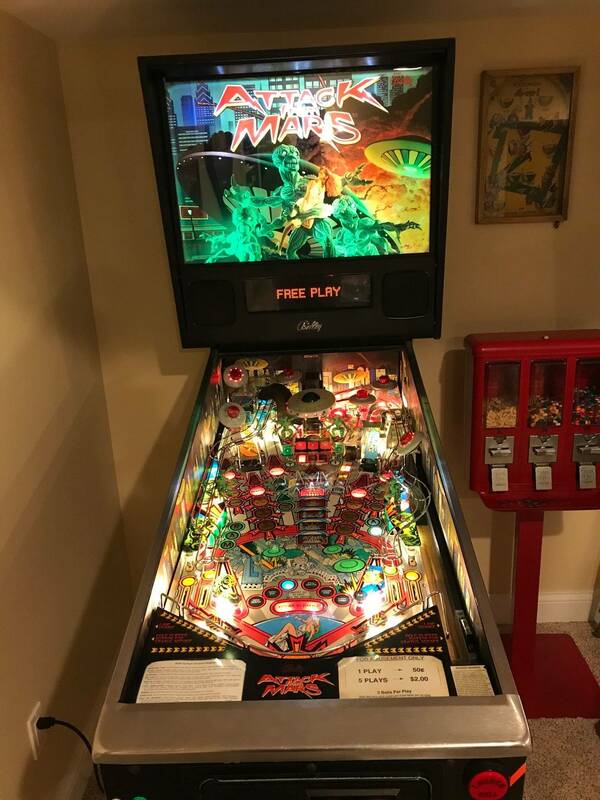 All 3 AFM (Bally) pop bumpers have stopped working during gameplay. They all work when I fire them in test mode. Wondering what would cause this and what I can do to correct? Fire in coil test I’m assuming. Do the skirt switches register in switch test? Turns out the bottom jet skirt is not working. The wire connections appear to be good. Thoughts? Turns out the bottom jet skirt is not working. Tests - Switch Edge - to check. Check that the leaf blade switch is clean. A piece of paper between the blades, gently push blades together and pull paper out. Check the plastic spoon the pop bumper skirt rod rests on - clean ? worn ? well centered ? To adjust the leaf blade switch. The long top one with the plastic spoon should just be resting on, not pushing, the plastic rod coming down from the pop bumper skirt. The shorter lower one should be close enough so the slightest ball hit triggers it, yet vibration doesn't set it off. A little tweaking and you'll be an expert at pop bumper leaf blade switch adjusting. Thanks for all the input. I think the problem is solved. I bent the leaf blade switch closer to the bottom jet and it is working again. 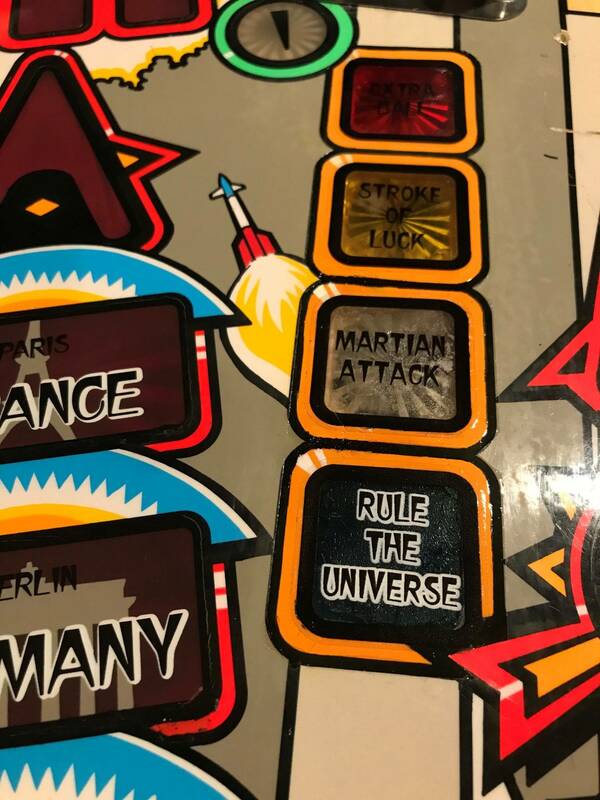 I recently purchased an ATM Backboard Decal and the more I look at the backboard it does not look like it is going to be as easy as everyone says to remove. Am I missing something here. 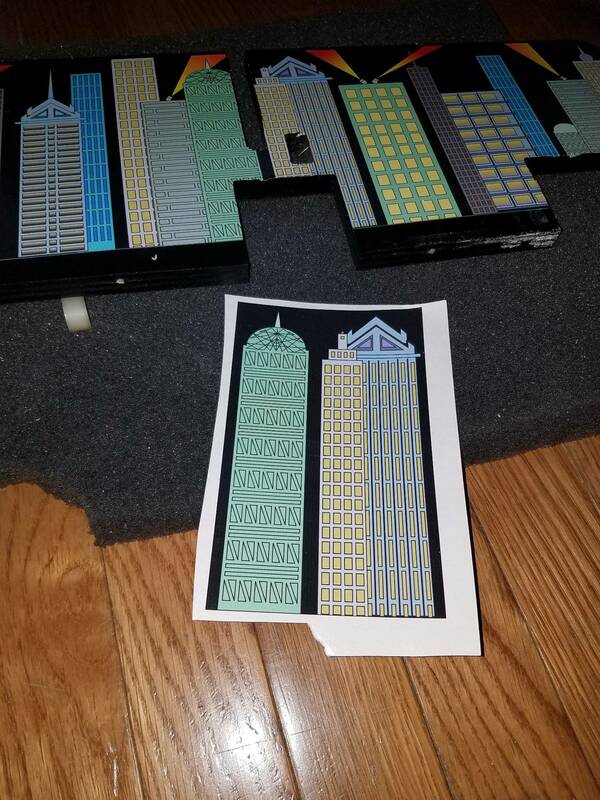 What is the best way to pull it so I can install the decal? I also am getting a ton of serious airballs off the Martian "T" and "I" targets. Any suggestions how to limit this? What is the best way to pull it so I can install the decal? Take enough stuff apart or off of it to get at it. 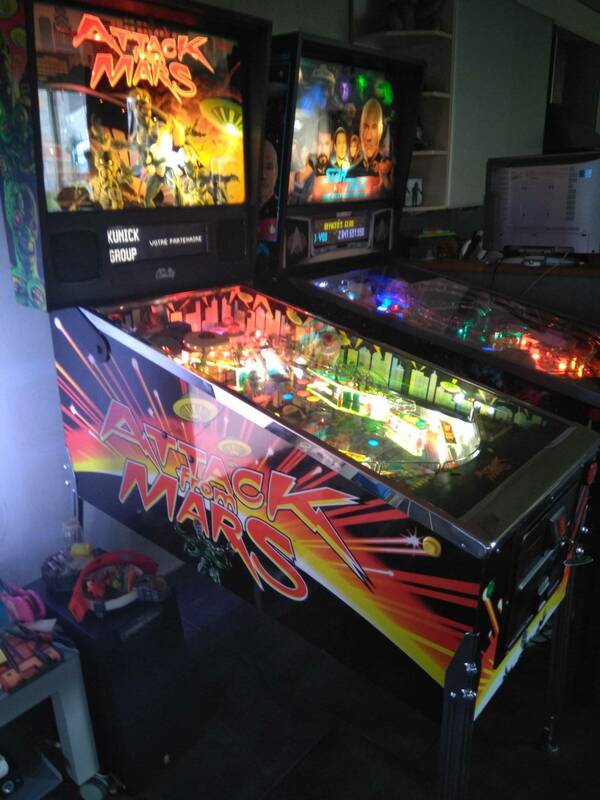 This Sunday in 11:00am GMT-5 will be playing in Attack from Mars. 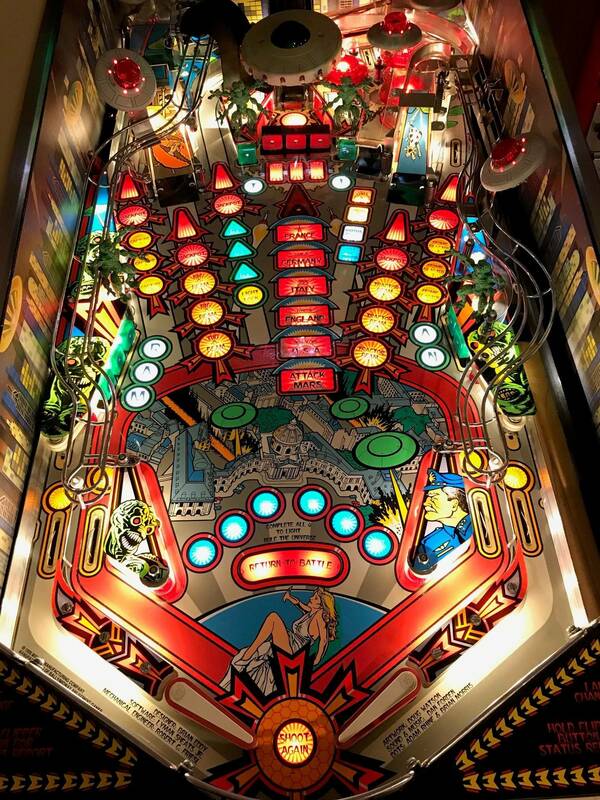 https://www.twitch.tv/pinballrussia Will be glad if you guys will be with us. 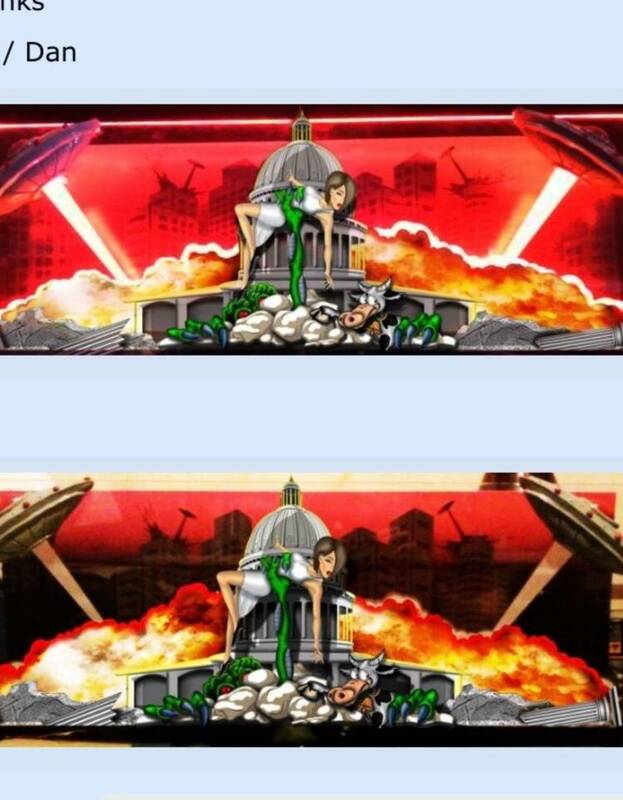 Remove all the harnesses that are in the way. You'll need to remove 2 screws from the L brackets on each side of the backboard. 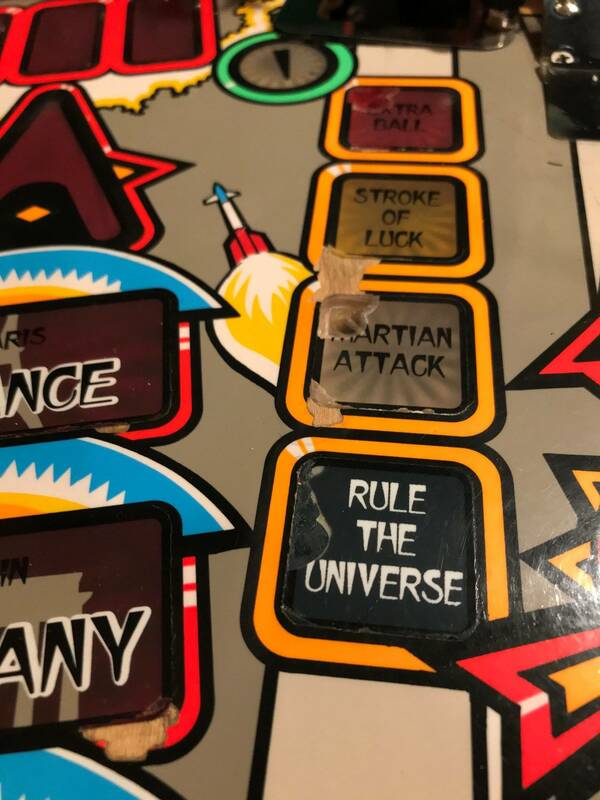 Then there are 4 screws from underneath the playfield. 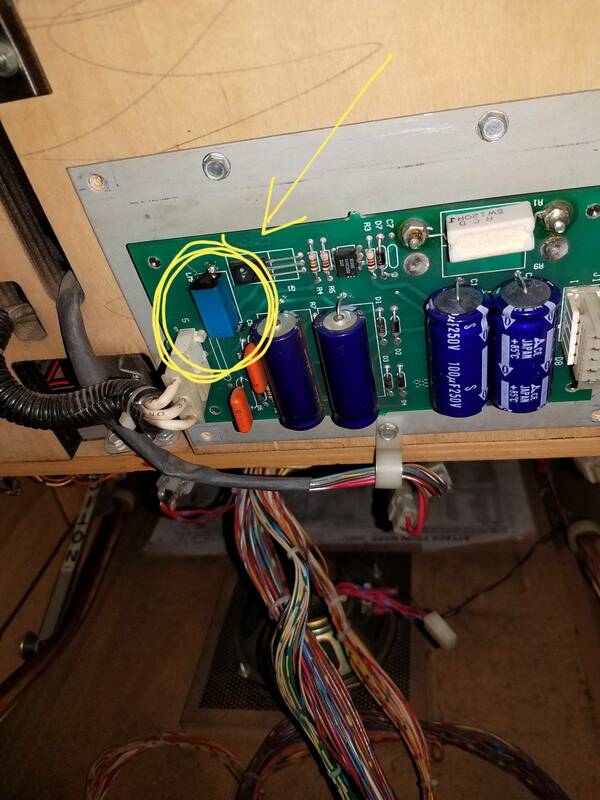 Be extra careful of the hi voltage strobe board connected to the back of this board!!!! Mine had an extra decal piece I fitted into the mothership bracket. I’m looking for an AFM Topper. I love these two, but they are not for sale anymore. Anybody have a topper idea or wanna sell theirs? I’m not a big fan of the current laseriffic AFM Topper out there today. Thanks all. I have some issues with my 3 Bank Target motor, so I ordered one from Marco. The old motor is leaking oil, so I thought that it was time to replace it. 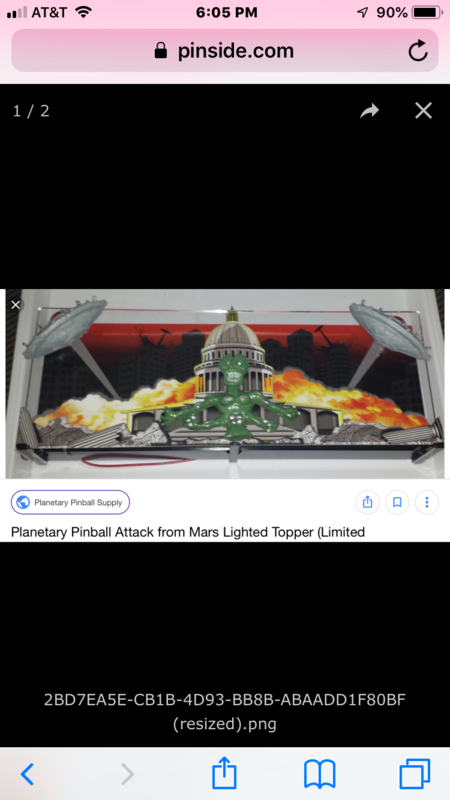 https://www.marcospecialties.com/pinball-parts/14-8023 Marco claims that this fits AFM and Jackbot. Installing the new motor was easy as it fits perfectly in the target motor bracket. But as I took the motor out of my AFM, I found that the Shaft on the new motor was larger than the original (I think) motor that I had in my machine. The new motor will not fit the existing cam for the assembly. So, to sum it up, the original motor has a smaller shaft than the newer motor. Has anyone run into this before? Or did Marco get the wrong motor for AFM? I did verify that I have the smaller 3 Bank Target Motor shaft on my original AFM. I checked jfesler and saw that his machine was the smaller 0.2 inches shaft just like mine. 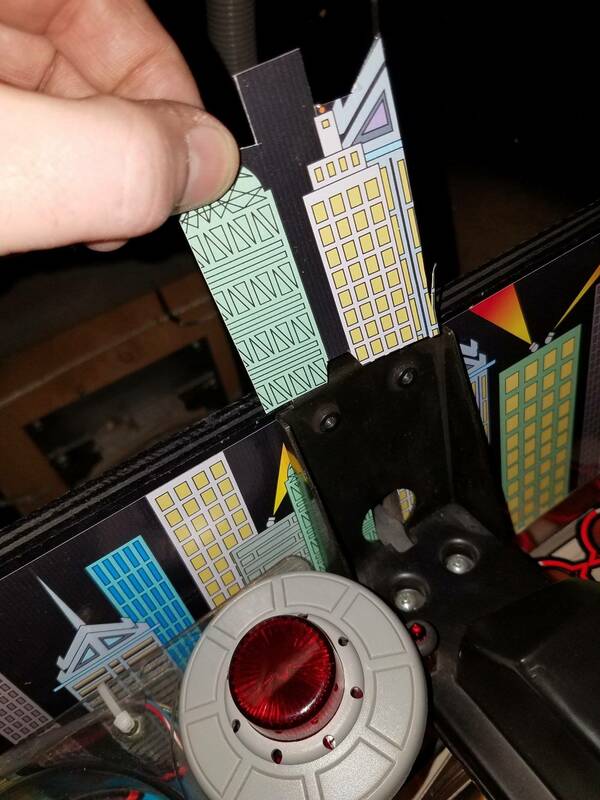 The Marco replacement is a 0.24 inch diameter shaft and is the same motor replacement as Pinball Life has. 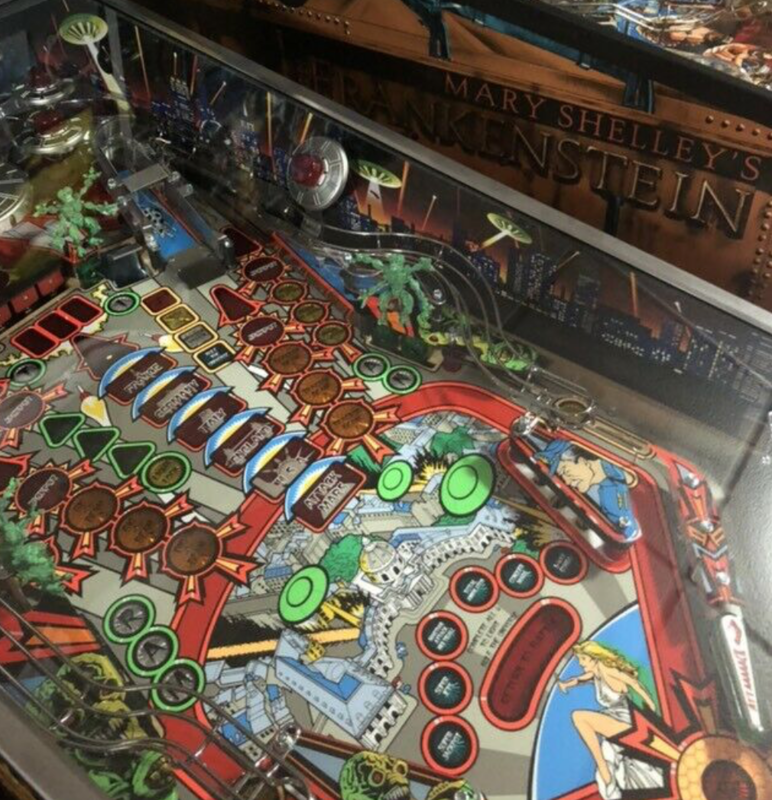 Pinball Life told me yesterday that the Illinois Pinball motor that all the parts suppliers have is probably all the same (i.e. larger shaft, 0.24 inches). 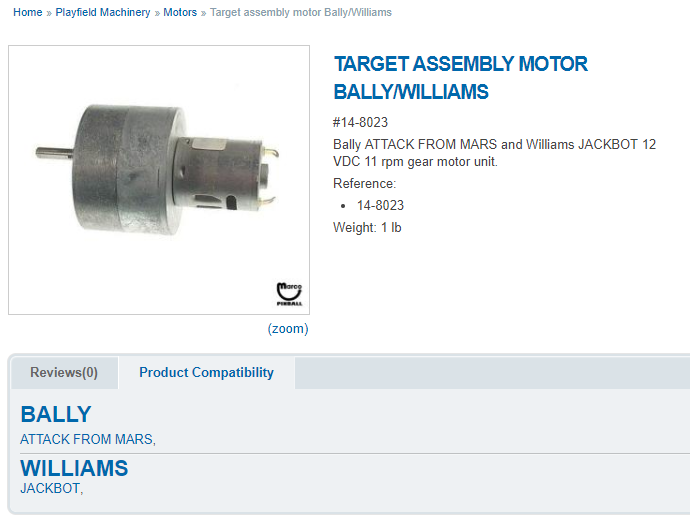 So to conclude, I am still chasing this to see if Bally/Williams changed the motor somewhere along the line in production. Or does everyone just have the "wrong" newer motor as a replacement? Since Marco lists this motor as a Pinbot replacement, I am going to post in their forum topic to see if anyone can measure that motor shaft diameter. It takes a big man to admit he has a small shaft. Yeah, but it's not the size of the shaft, it's the size of the Cam that fits on it! And I was wrong. It's Jack*Bot, not Pinbot. D'oh! I just installed the Bill Ung hall extension mod. I am now getting game resets frequently. 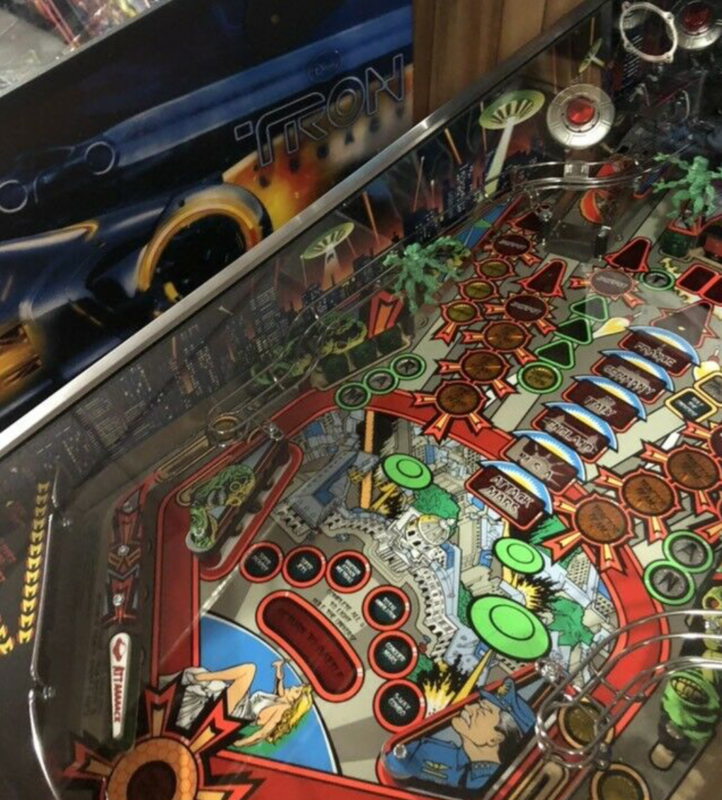 Worked through the pinwiki troubleshooting guide. Removed power driver board and looks like someone before me had worked through the recommended rework - including upping voltage setting to 5.2V. The rectifier circuit measures consistently above 9V with less than 300mv ripple throughout game play (even through resets) so everything checks out up to there. The regulator output (measured on power board at 5V test point and/or LM317K case) varies from 5.0V to 5.2V in attract mode - outside the LM317K regulation spec. During game play my meter was able to catch values below 4.8V. Then with the little saucer and hall extension LEDs unplugged the power driver 5v test point measures a solid 5.200 during attract mode and no less than 5.150 during game play - within LM317K regulation. I have also been able to visually correlate low voltage readings in attract mode to number of LEDs lit on the little saucers. So I expect my LM317K is going into current limit and the hall extension was enough to push it below the reset threshold. I'm considering two options - replace LM317K (1.5 amp rating) with a LM350K (3.0 amp rating) or install a Kahr daughter board. I like the idea of replacing the LM317K as it fixes the root problem but it looks like the nuts are soldered to the mounting screws so not sure how easy to remove. Any suggestions/advice appreciated. Are you kidding? That looks great! Looks a hellova lot better than what you had! 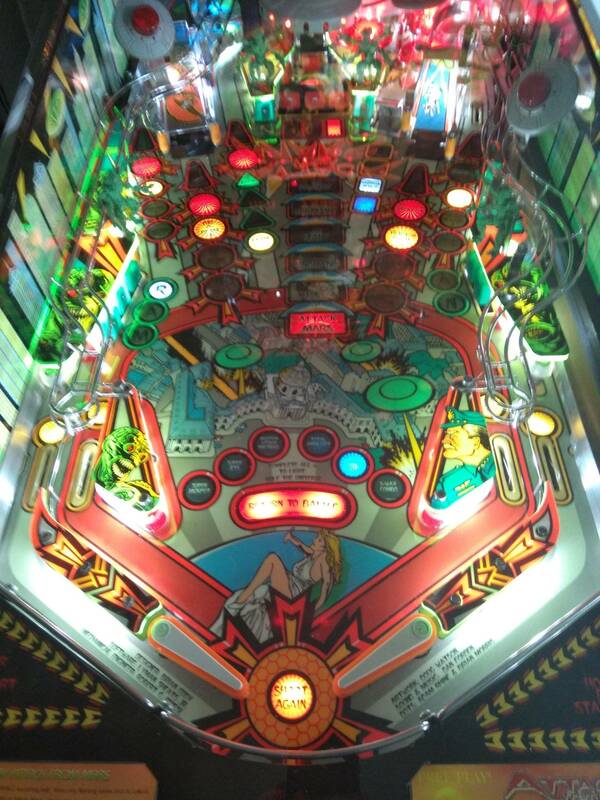 Thanks for the kind words on my playfield repair guys! ... or install a Kahr daughter board. .... Any suggestions/advice appreciated. NO. Do not do that. Fix it right by replacing the problem component. No one needs to buy your problems if you ever sell the game. For the mounting nuts, I would anticipate the use of a ratchet on the nuts would "break" the solder joints. Or...you could use desolder rope to get as much of the excess solder off first, and then use a ratchet to gently "break loose" the nuts. Final installation can be seen in this video. Note, the hexnuts are VERY close to a surface component, so make sure the hexnuts don't touch ANYTHING when you reinstall. Desperately searching for a trigger coil for the strobe board. I placed an order from an overseas seller on eBay, they never came. Pinbits has gone "crickets". No response from emails or website activity. Someone have one laying around in a parts bin??? Just replaced the 5V regulator (LM 317K 1.5A to LM350K, 3A) and my 5v is solid throughout game play between 5.03 and 5.05 volts - no resets! 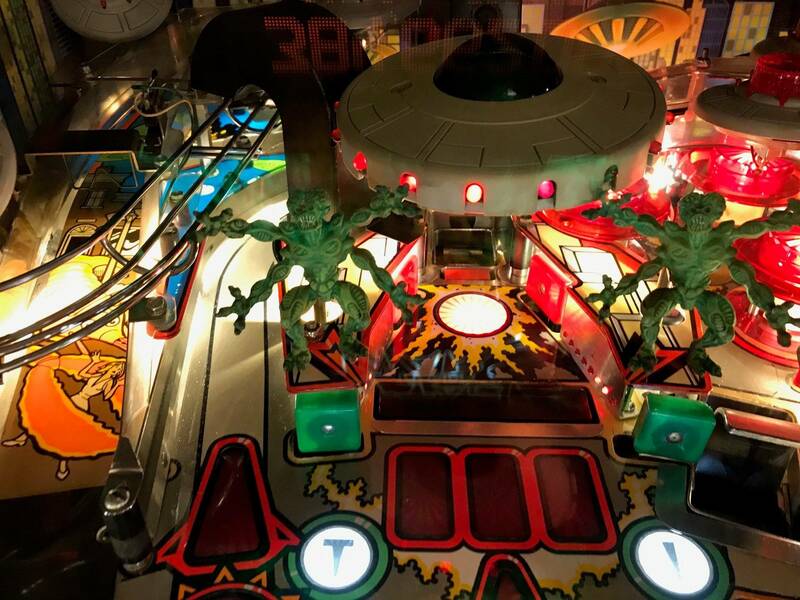 Game is up and running great now after 3 months of work. 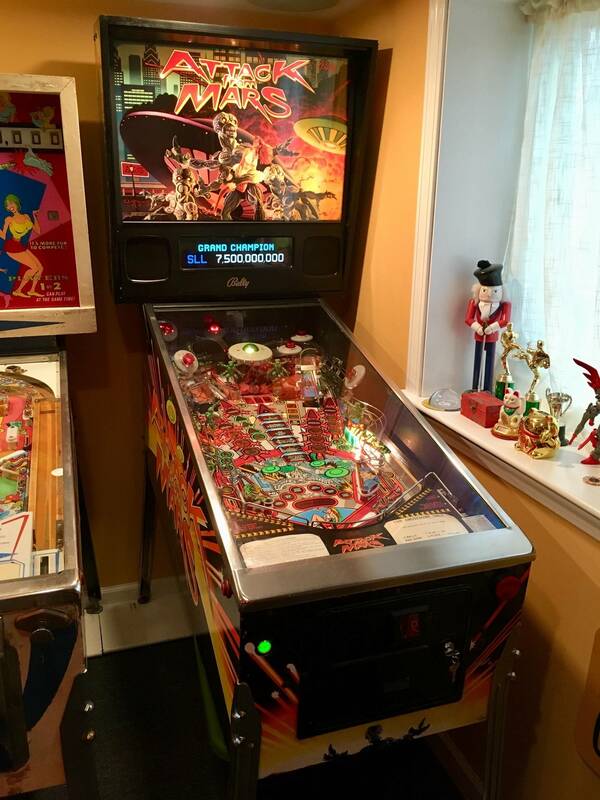 Other stuff I did includes installing Cliffies and Mantis protectors, a little playfield repair (Post #521), Pingraffix blades and back board, PDI Glass, Comet Pinball LEDs throughout, Comet Pinball DMD Glare Guard, ROM 1.13b, Bill Ung Extension, new martian brackets, new pop-bumper skirts, reflow of multiple intermittent little saucer LEDs, replaced a few bad switches, and thorough cleaning and wax. A few pictures included. First picture is when I got it home last year. The rest are from last night. Nothing others haven't done but I'm very happy with how it's looking and playing. The PDI glass is amazing. It's like it's not even there. Finally!! I’ve wanted to be in this club for a LONG time. However AFM went crazy in pricing. So I had resigned to never joining. But then the remake came out, and it seems to have brought the price of originals down to where I felt good about it. 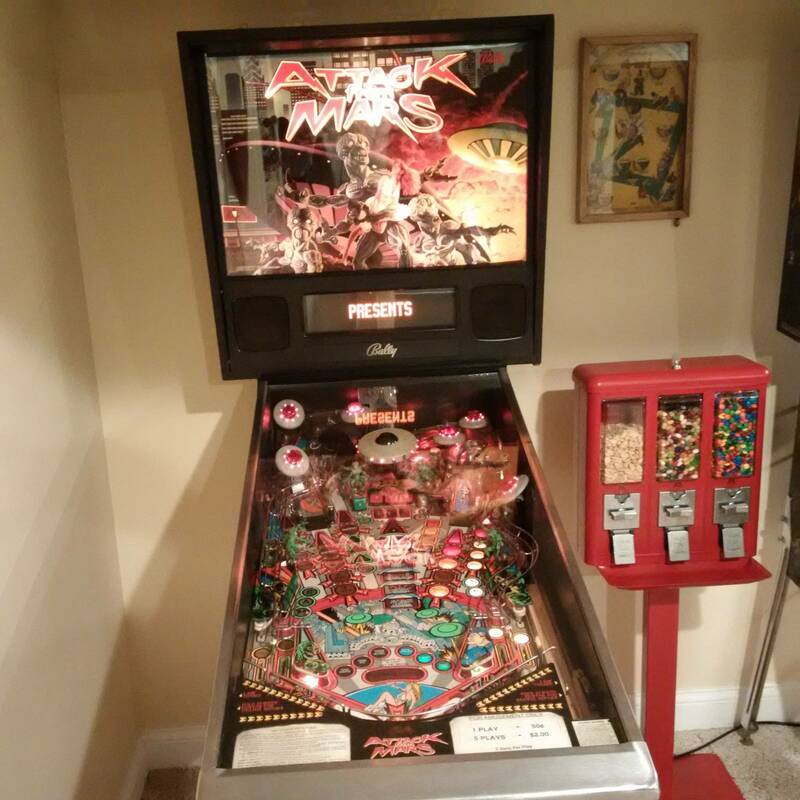 So this is finally in my gameroom! I did a “quick shop” on it to get it ready for my league this month and it cleaned up pretty well. Very pleased!